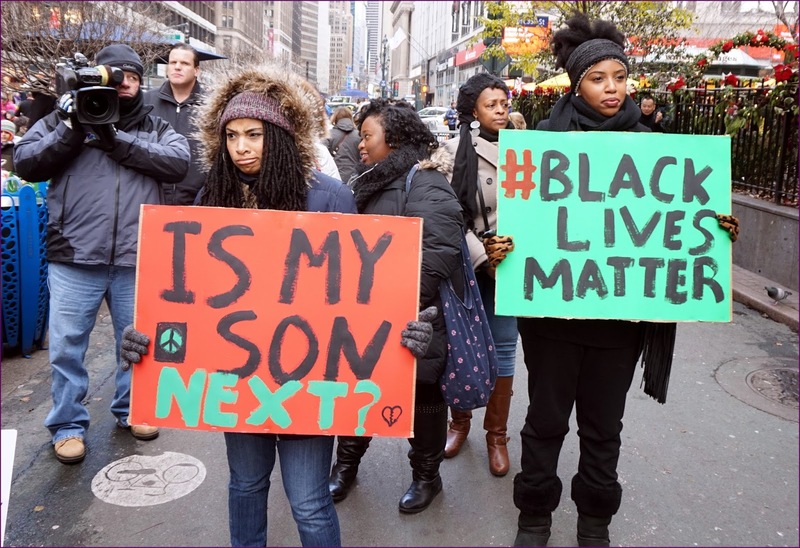 UMP | University of Minnesota Press Blog: Examining America's rhetoric of postracial progress. Examining America's rhetoric of postracial progress. but also much more realistic. Image taken in November 2014 of a demonstration in New York City. Credit: Flickr. According to a recent poll, nearly 60 percent of Americans believe race relations are “generally bad.” It’s not hard to see why. From Ferguson to Baltimore to Charleston, racial unrest and violence seem to be getting worse, not better. Pollsters noted that the last time black Americans felt this negatively about race relations was in 1992, when four white police officers were acquitted in the beating of Rodney King, setting off riots in Los Angeles and across the country. The massacre of nine church members in Charleston in June reminded many of the massacre of four black girls at a Birmingham church in 1963. And the 2014 shooting death of twelve-year-old Tamir Rice bore troubling similarities to the lynching of Emmett Till in 1955—the boys even bore a striking physical resemblance. Against this inauspicious backdrop, the metaphor of the melting pot entered general usage as a way to describe this new America. Here was an optimistic, feel-good way of looking at the nation, one that supposed that disparate groups could successfully be integrated, or melded, into white American society. The reality, of course, was that many people resisted this ideal. By the 1920s, nativists had passed anti-immigration laws limiting the number of “undesirable” immigrants. Between May and October of 1919, a series of race riots swept the country, leading James Weldon Johnson, field secretary for the NAACP, to call it “Red Summer.” The Ku Klux Klan entered a period of renascence, advocating a policy of “one-hundred-percent Americanism,” where “American” meant one-hundred-percent white (of old-immigrant stock) and Protestant. I’ve been thinking of this as we enter another period of racial turmoil, nearly one hundred years later. The melting pot has been replaced by the fantasy of a postracial America, another optimistic, feel-good way of looking at the nation, one that supposed disparate groups can successfully transcend race altogether and become “colorblind.” Yet the Tea Party is the new voice of nativism, Donald Trump calls Mexican immigrants criminals and rapists, and black lives continue to be lost. 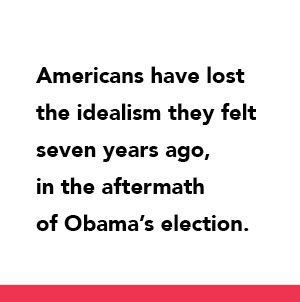 Americans have lost the idealism they felt seven years ago, in the aftermath of Obama’s election. Back then, 67 percent believed black-white relations would “eventually be worked out” and 70 percent thought race relations would improve. In some ways, though, I take heart in the loss of feel-good optimism. Only recently has white pessimism about race relations caught up with black pessimism, and that’s a good thing. Earlier this year, 58 percent of black Americans believed race relations were bad, while only 35 percent of white Americans thought the same. By May, however, 65 percent of black Americans and 62 percent of white Americans thought race relations were bad—an astonishing increase, especially among white subjects. To be sure, it took something like the Baltimore uprising following the funeral of Freddie Gray to shake white Americans out of a kind of willful complacency, with the mainstream media guilty of sensationalizing the protests and fanning white anxiety. But the protests starkly demonstrated that something was wrong—that the rhetoric of postracial progress was papering over deep fissures in American society. The postracial fantasy, like the melting pot, is a white fantasy. It imagines a smoothing away of difference, a whitewashing of history. As Anna Holmes recently wrote in the New York Times, “Sometimes it seems that as if the desire for a ‘postracial’ America is an attempt by white people to liberate themselves from the burden of having to deal with that legacy.” I couldn't help but think of Ben Affleck's misguided desire to conceal his slaveholder ancestry from the public—a "whitewashing" of his family history and the history of this nation. In the aftermath of this scandal, Affleck posted an "apology," writing: "We deserve neither credit nor blame for our ancestors and the degree of interest in this story suggests that we are, as a nation, still grappling with the terrible legacy of slavery." No kidding, I thought. But it’s easy for people like Affleck to remain naively idealistic when they don’t have to imagine—or live—life from the point-of-view of a black American. Black Americans, on the other hand, have always had to imagine life from the point-of-view of white Americans. They have always possessed what W. E. B. Du Bois called the “second sight” of double-consciousness—an ability to see complexity and perspective in a way that many white Americans don’t have to. White Americans can be “colorblind”—or just plain blind. Black Americans must have colorvision. The Black Lives Matter movement, the shootings in Charleston, even the widespread dismay that Atticus Finch is a racist—all of these force white Americans to see race in a way that’s uncomfortable and confusing, but also much more realistic. 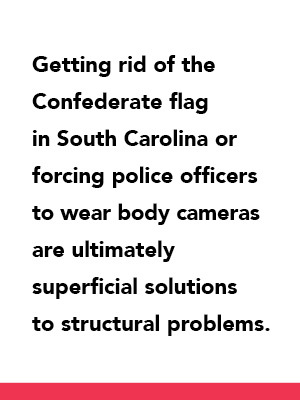 Jim Crow hasn’t been abolished—it’s gone undercover. Its legacy remains in all aspects of American society, covert but no less insidious, painted over but still there. 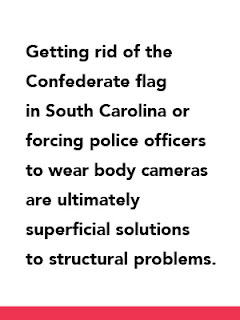 Getting rid of the Confederate flag in South Carolina or forcing police officers to wear body cameras are ultimately superficial solutions to structural problems. The color line still exists, most starkly in black and white attitudes toward policing, with black Americans more than twice as likely to express anxiety regarding the police in their community. Acknowledging that this is the case is a small but necessary first step to improving race relations and insuring that “the Problem of the Twentieth Century” does not become the problem of the twenty-first. 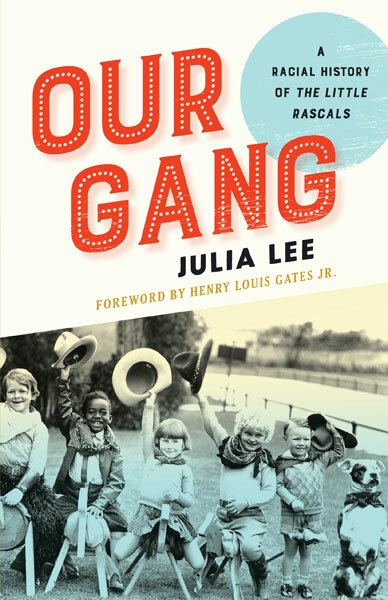 Julia Lee, assistant professor of English at University of Nevada, Las Vegas, is author of Our Gang: A Racial History of The Little Rascals (forthcoming this fall from University of Minnesota Press) and The American Slave Narrative and the Victorian Novel. She was named a 2014 Emerging Scholar by the magazine Diverse: Issues in Higher Education. More information can be found at www.profjulialee.com. She tweets @profjulialee.